The Center for the development of "E-government" and the Center of information technologies of India signed a cooperation agreement for the organization of training of civil servants in the field of e-government in the areas of: e-medicine, e-education, e-parliament, automation of business processes and others. A delegation of the Ministry of information technologies and communications visited New Delhi (India) on 5-9 August. 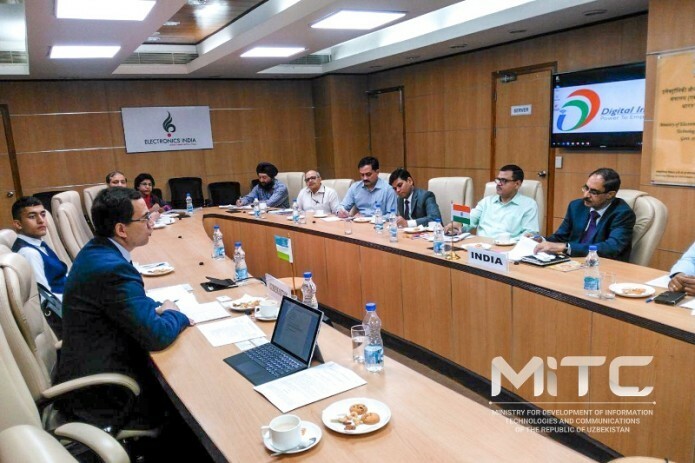 Following the results of a meeting with representatives of the Ministry of electronics and information technologies of India and its subordinate organizations, the parties prepared joint proposals. An agreement was reached to sign a Memorandum of cooperation between the ministries. Meetings were held with the leadership of the Indian Institute of Technology of Delhi and Delhi University of Technology. Agreements were reached on the organization of cooperation between Indian educational institutions and Tashkent University of Information Technologies in the field of student exchange, joint research, training of Uzbek teachers, as well as the allocation of positions for Uzbek students on the basis of state grants. The Center for the development of "E-government" and the Center of information technologies of India signed a cooperation agreement for the organization of training of civil servants in the field of e-government in the areas of e-medicine, e-education, e-parliament, automation of business processes and others.